All new phones are starting to come to a point in which it's really hard to create something that is "totally new". Almost every form factor and spec has been done already and now its just a matter of how you implement new features and what you call them rather than actually creating something new. The just announced SGS4 looks exactly like my year old SGS3 and there's nothing wrong with that except it's not exciting. And when I say exactly, I mean almost a carbon copy. The only differences are the LED placement on the back and a slightly bigger screen. These are two things that 90% of the world wouldn't even notice unless someone pointed them out. People might also notice the slightly squared off corners that look like the Samsung Note II but since most people carry their phone in a case, it won't be easily seen. The device is so similar the previous version that I feel this was almost an Apple event. Apple is notorious for only updating the look of their device every 2 years or so while the year by year upgrades are typically things like a better processor, bigger longer screen, a new feature and/or new radio. This is the way the new SGS4 seems to the casual "non-tech" types. The way Samsung differs from Apple is the fact that they upgraded almost every spec (screen size, screen quality, camera, processor, thinness, etc) but they also added a lot of features. There are a bunch of new touch and touch-less features but also tons of new camera features as well. There are too many features to mention here but check out the Huffington Post if you want to see them all. Granted, most of the new features no one will ever use. My SGS3 came with so many new features that I didn't even bother to figure them all out. Now the SGS4 has even more touch-less gestures, eye tracking, and camera features, so anyone without a manual in hand would be lost attempting to remember them all. I know it sounds like the new features aren't much of a benefit because there are too many to learn but that's the beauty of it all. They are there if you want to learn and remember them or turn them off if you don't care about them. In summary, the new Samsung Galaxy S4 is going to be the new "it" phone even after Apple announces the iPhone 5S or 6 or whatever it will be called. 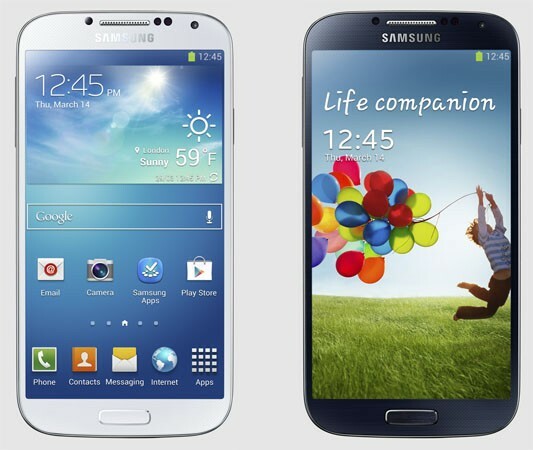 The SGS4 is more of the same but at the same time, it's a big jump over previous versions of the Galaxy series. This will be the highest pixel density Galaxy phone, with the largest screen on a Galaxy S device to date and it also has an 8 core processor. Apple would have implemented just one of the mentioned spec bumps and convinced the masses that's all they needed; leaving the other improvements for the next version of the iPhone. This allows consumers to purchase the new iPhone because they want that bigger screen one year and then really want to purchase the next new iPhone because they really want that new processor. It's either a really great marketing scheme that gets repeat consumers to upgrade every year or Apple was just ahead of everyone and realized that they already have top notch hardware and you can only innovate so much when you're already ahead of your competition. Regardless, Samsung just announced a phone that might look like it's predecessor, but is actually leaps and bounds better on the inside and outside than the previous phone. The bigger, better screen and camera as well as the improved processor in the SGS4 will be a formidable competitor to the next iPhone.